If you are just starting out learning to read the Tarot cards, you may feel that throwing other oracles into the mix might complicate things unnecessarily. I propose a different perspective for starting out reading with mixed oracles and that is to see it as an exercise in reading the Tarot cards intuitively – just as you would with many other oracles. 1) For your daily draw, randomly choose one Tarot card and one Oracle card. Do one week with the Tarot card providing the main theme for the day and the Oracle card providing more details/clarifying and let them switch roles the next week. 2) Try a 3 card Mind-Body-Spirit spread, where the Spirit card is chosen from an Angel Oracle. 4) Separate the Court Cards out from the rest of the deck and randomly choose one of the courtiers as your ‘most helpful attitude of the day’ and draw a rune or another oracle to tell you a bit about the issues/situations you may come across where this attitude will be especially helpful. Alternatively, you can allow the second oracle represent a ‘tool’ used by the courtier to deal with whatever crosses his path. 5) Locate your Major Arcana Tarot Year card and pull one card from an Oracle deck to get a message from Spirit about the lessons and challenges you will be facing in association with the year card. 6) Pull three cards for a relationship you would like some insight into: one for you, one for the other person and one for the dynamic you are creating. Pull an additional oracle card or rune for spiritual guidance about the nature of the relationship. 7) Randomly draw one card for each of the chakras to see how they are currently functioning and then lay one oracle card out next to each of the Tarot cards to see if you can divine any information on how to improve the function of the corresponding chakra. 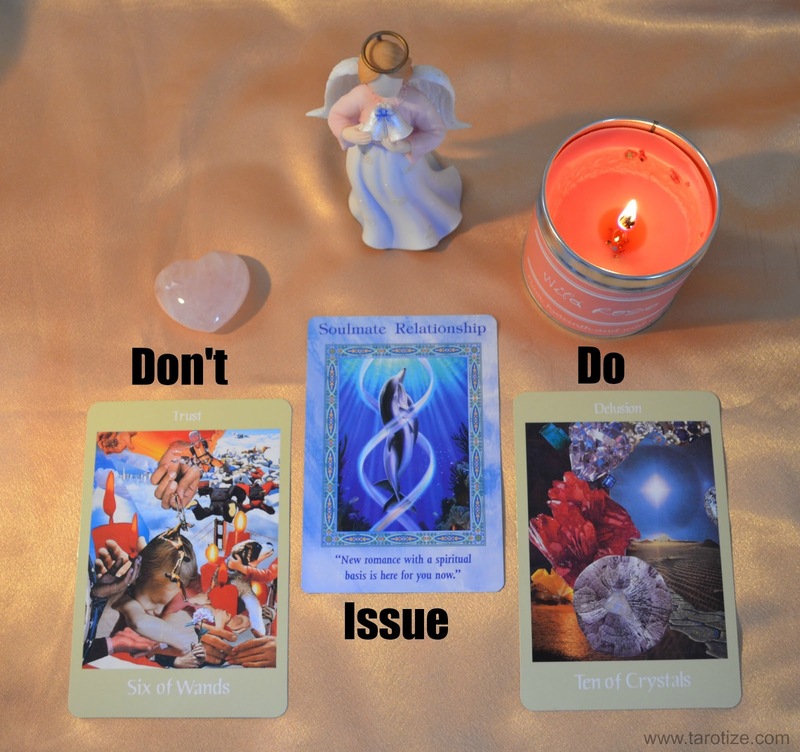 These are some ideas to get you started on fearlessly and intuitively mixing oracles. The trick is to ground and centre before you begin. Write your question down and then carefully note down cards drawn as well as any messages that are coming through. Trust the guidance you receive and cement that trust by taking action guided by the advice. You don’t need to know the card meanings and all the Astrological correspondences by heart to be able to make sense of the messages that will come through as soon as you relax and put yourself in a receptive state of mind. My first ever Tarot reading at age 15 was just ‘for a bit of fun’ and I had no knowledge whatsoever of traditional card meanings. I remember the Devil and the Emperor showing up next to each other and I started channelling information that was highly relevant to my friend. She was facing an abusive situation in her home environment and I just knew by looking at the cards. Because it was just a ‘game,’ I didn’t hesitate to tell her what I saw. My friend, who up until that point hadn’t told a soul about her abusive step father, broke down in tears and told me that what I saw in the cards was absolutely true. OK, so that totally freaked me out and I didn’t pick the cards up again until I was nearly 30… but the point is that the cards speak… if we let them. Also, the fact that my friend finally found the courage to speak up about the abuse, ended this horrible situation for her… WIN!